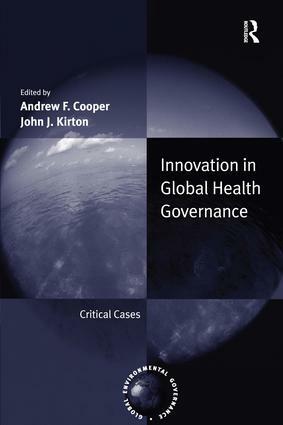 Analyzing twenty-first century innovations in global health governance, this volume addresses questions of pandemics, essential medicines and disease eradication through detailed case studies of critical and rapidly spreading infectious diseases such as HIV/AIDS and SARS and 'lifestyle' illnesses such as tobacco-related illnesses, all of which are at the centre of the current global health challenge. Given its contemporary focus and wide range of world leading experts, this study is highly suitable for courses on global governance generally and global public health specifically across political science, economics, law, medicine, nursing and related fields. Scholars, practitioners and clinicians seeking a context for their front line health care provision will find this volume invaluable.